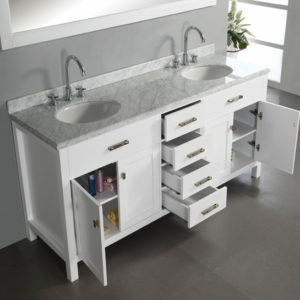 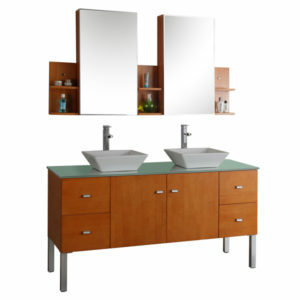 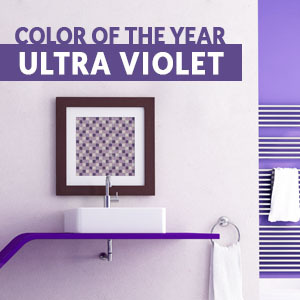 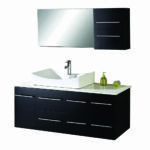 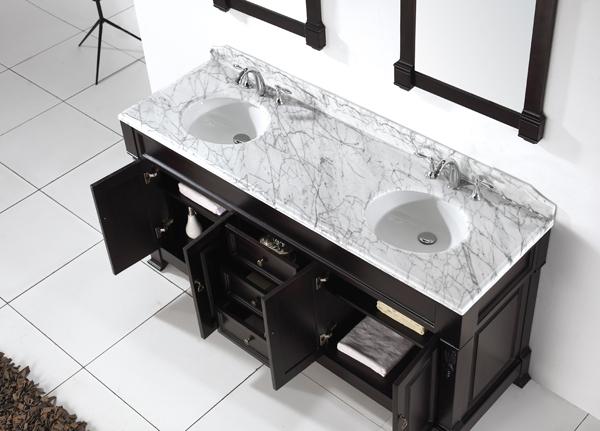 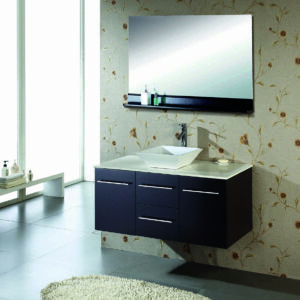 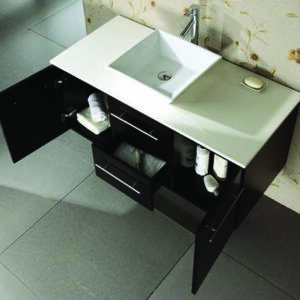 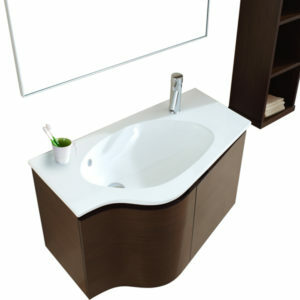 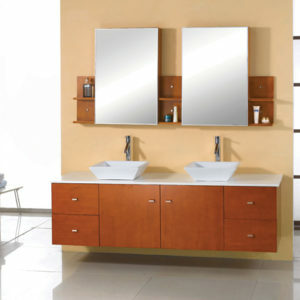 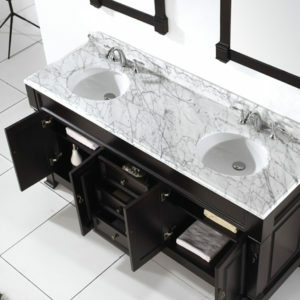 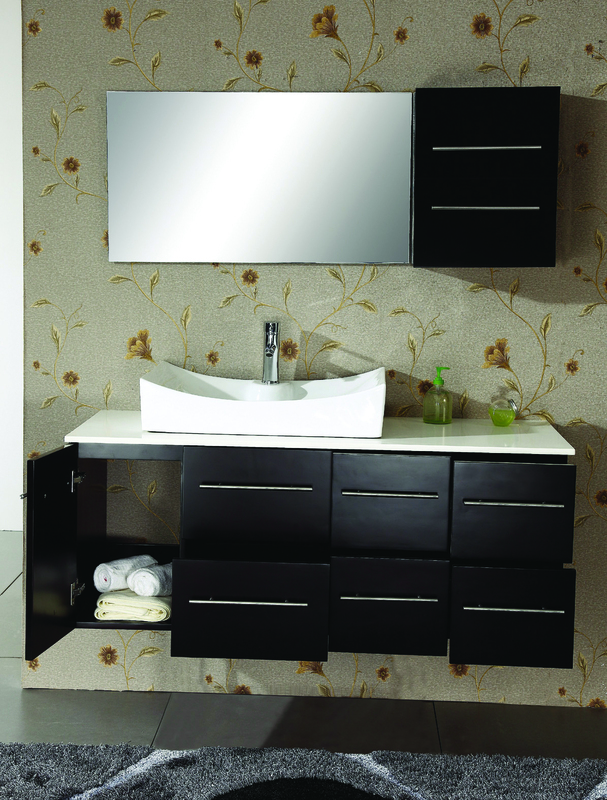 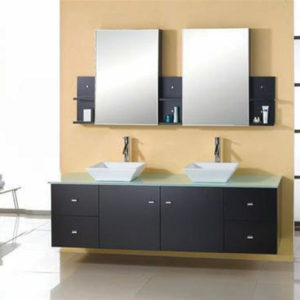 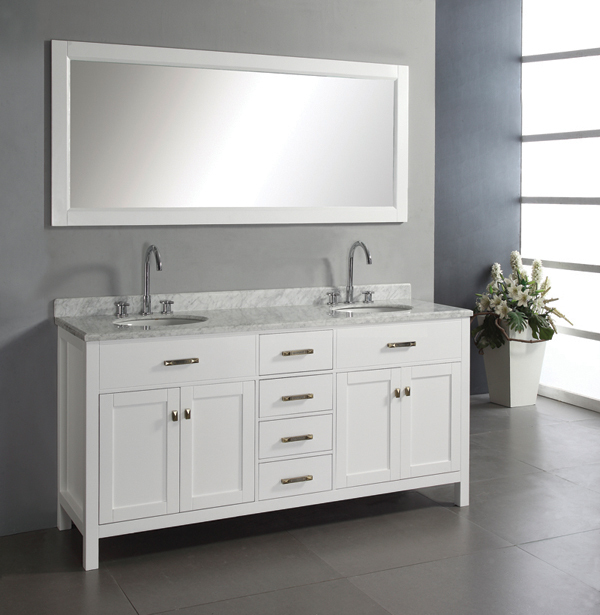 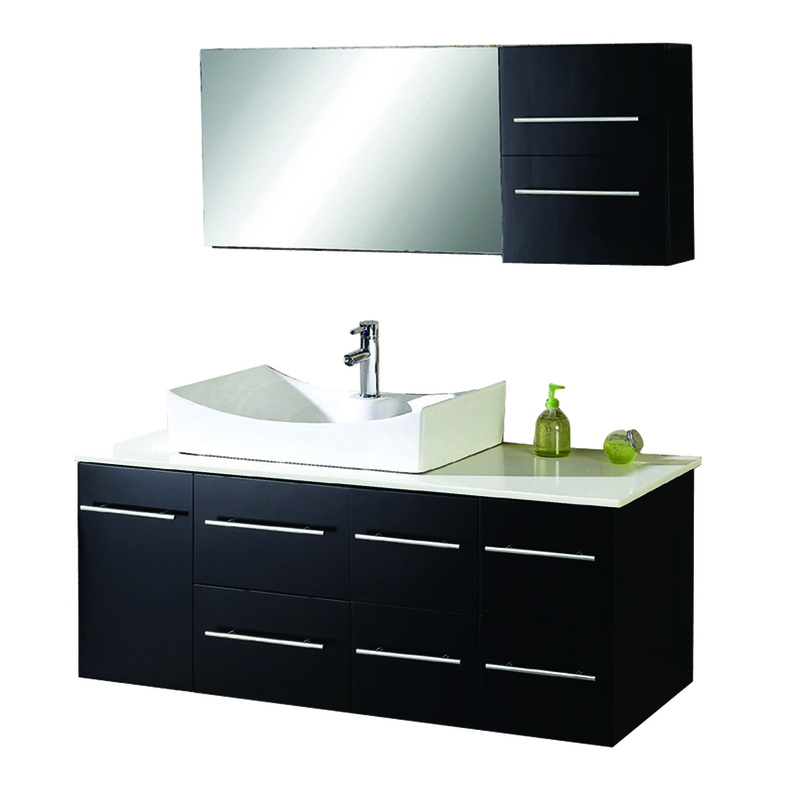 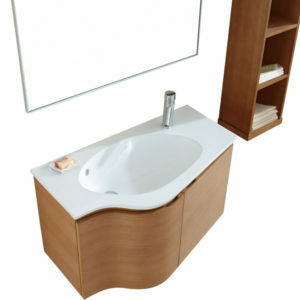 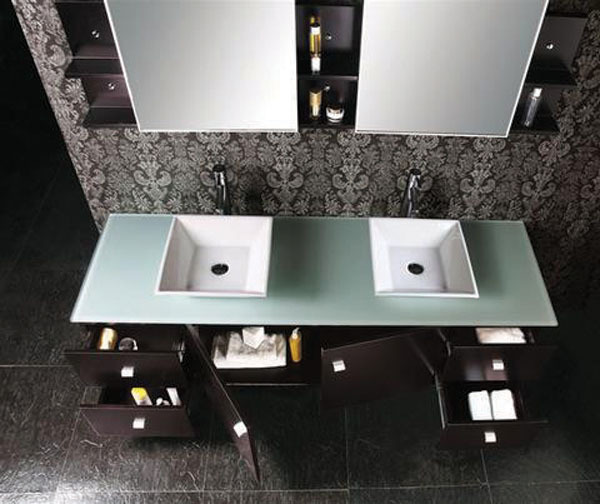 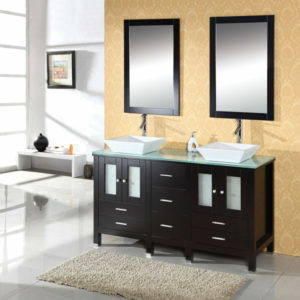 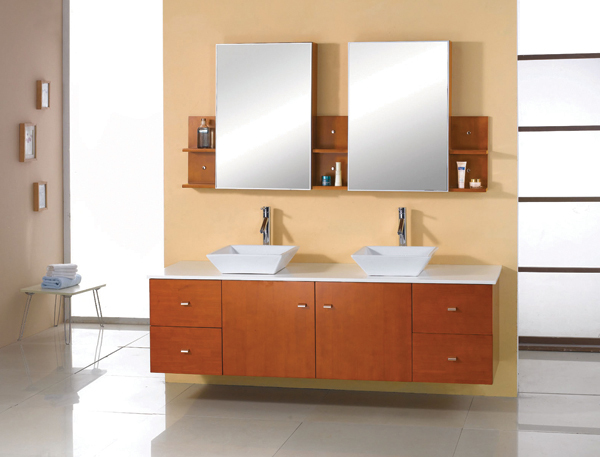 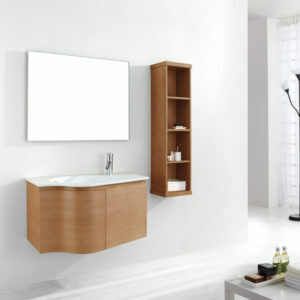 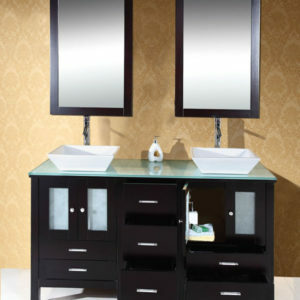 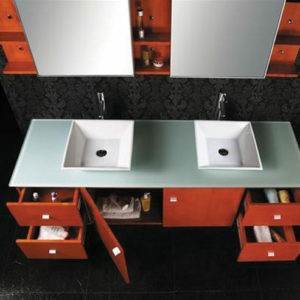 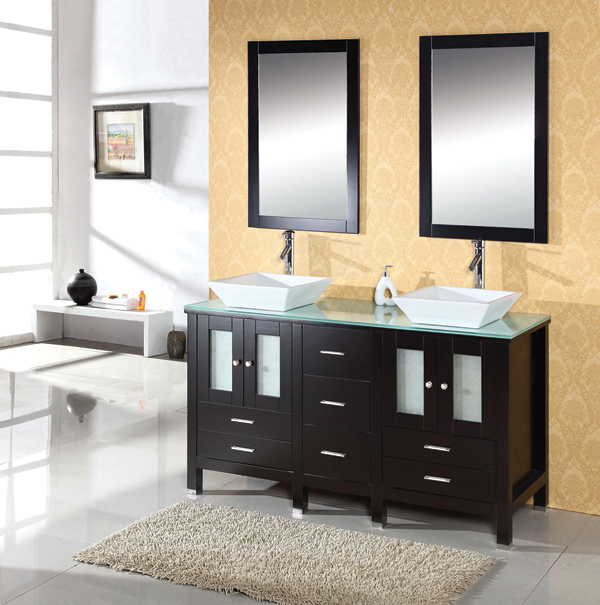 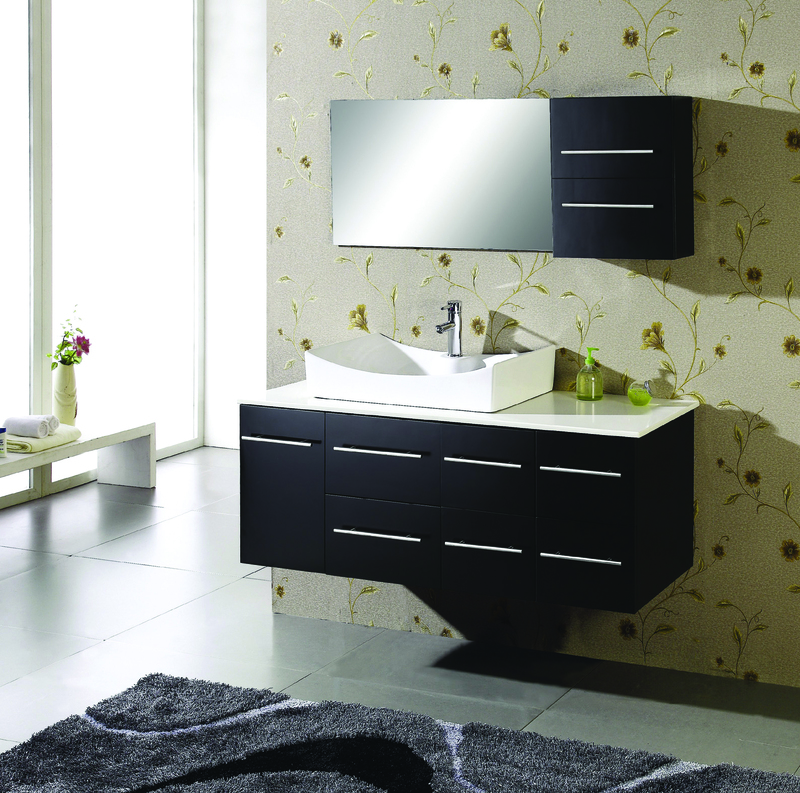 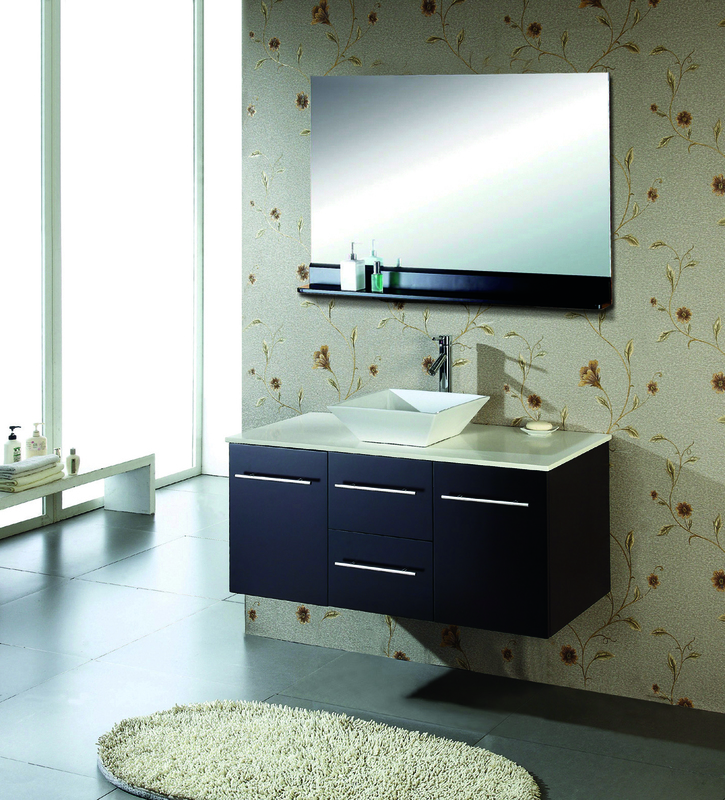 The Ceanna Bathroom Vanity is a well designed modern vanity with lots of storage. 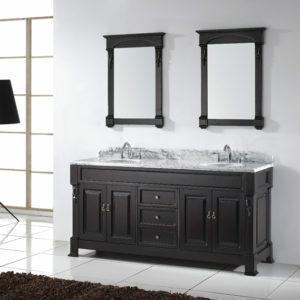 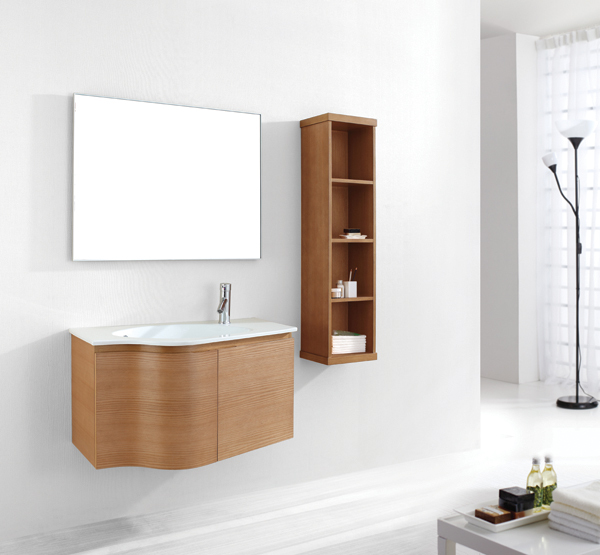 The vanity is constructed of solid Oak wood and finished in espresso. 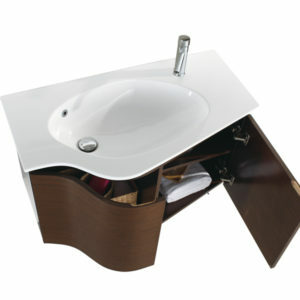 The design consists of a curved basin resting on a beautiful man made stone. 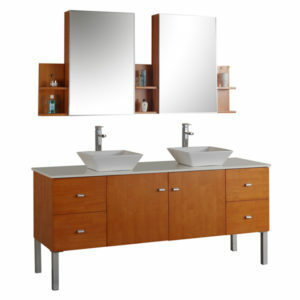 A balanced well balanced design mirror and medicine cabinet hovers the vanity. 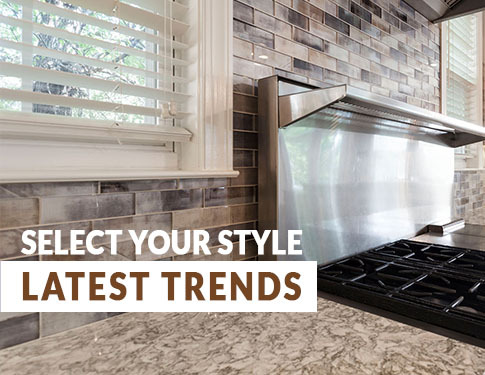 The Ceanna is a spacious universal design.